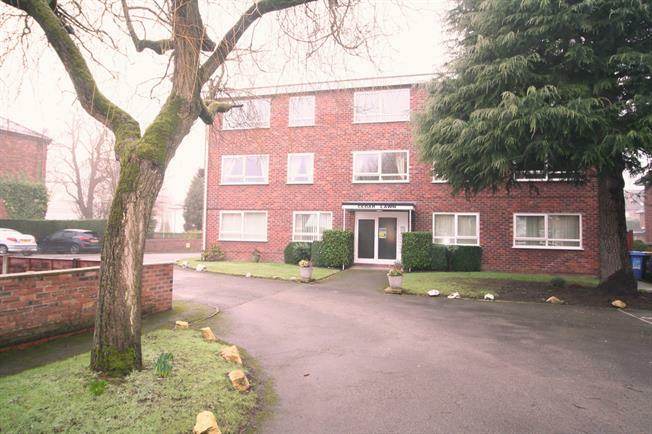 2 Bedroom Flat For Sale in Cheadle for Offers Over £180,000. Immaculately presented modern two bedroom apartment done to the highest of standards ready to be moved straight into. The grounds of this apartment are well maintained, including private parking space and communal areas cleaned regularly. This apartment offers a open plan living area and newly fitted modern kitchen with fitted appliances and under unit spot lights, newly fitted modern bathroom including towel rail and two good sized double bedrooms. The apartment has also been fitted with top quality new carpets and doors throughout and includes security intercom phone. It ticks all the boxes.